Onion sets, Welsh, shnitov, leeks – all these varieties of onions grown from seed. To obtain seeds for planting, you need to follow certain agronomic practices of planting, care and harvest. To get seeds for growing sets or turnips, it is necessary to plant a healthy, ripe onions. Each variety of onion for seed production are planted far from each other to sort not periapicals, and there was interbreeding. If different varieties planted at closer distance, then the seeds will turn out poorly, and the cultivation of these seeds will lead to poor results. For planting onions in the seeds of the mother plants pruned for best germination. Planted at a distance of 15 centimeters from each other. To deepen the bulbs need 3 cm, the top layer filled with sawdust, peat or humus. Care is weeding, loosening the soil and fertilizing bulbs. Fertilizer for top dressing can be made of mineral or organic in liquid form. After the appearance of the arrows, and education of the flowers is watering at the root, to avoid damaging the flowers. The arrow must be tied to a trellis or each separately to the thick rods. You must also process onions from pests using chemical or natural products, for example, wood ashes. As soon as seeds are ripe, and the boxes are darkened and brittle, you should immediately cut off the hands and spread in a thin layer under the canopy for ripening. After ripening the seeds are threshed, dried and placed in a cloth for storage. 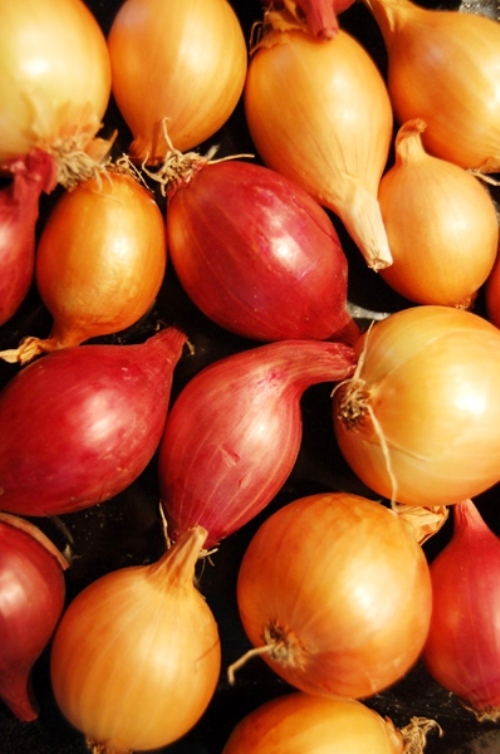 Are stored the seeds of onion in a cool, dark and dry place. For seeds onion-a Welsh onion, leek and snit after complete regrowth of the feathers to stop cutting. Onions will go in the pipes, which will form the boxes with the seedsof mi. After aging the seed horns are cut off and threshed Pozarevac. Stored seeds as well as seeds of onions-turnips. In early spring, after the snow melts, the seeds are sown in well-fertilized soil and produce loosening, removing weeds, watering and fertilizing.